Form No. 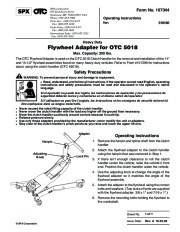 107344 Operating Instructions for: 516160 Heavy Duty Flywheel Adapter for OTC 5018 Max. Capacity: 200 lbs. 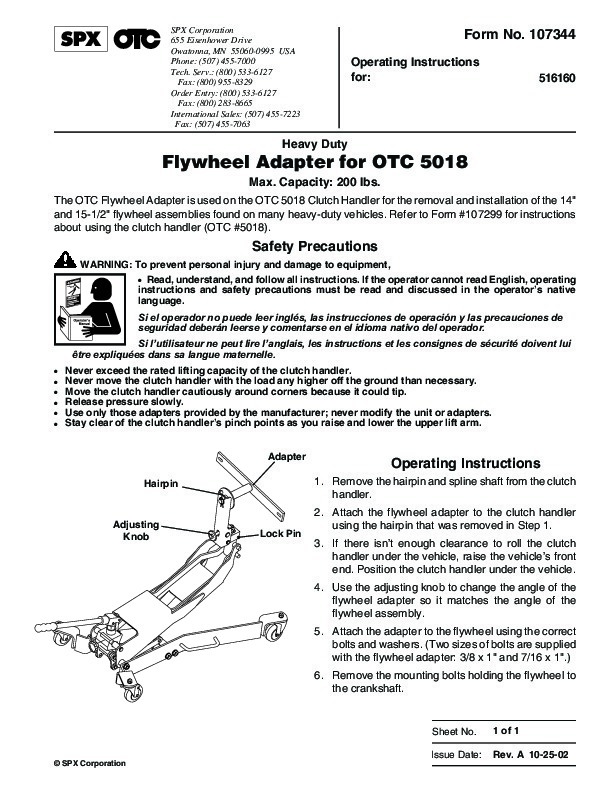 The OTC Flywheel Adapter is used on the OTC 5018 Clutch Handler for the removal and installation of the 14 ” and 15-1/2 ” flywheel assemblies found on many heavy-duty vehicles. 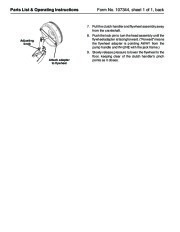 Refer to Form #107299 for instructions about using the clutch handler (OTC #5018). 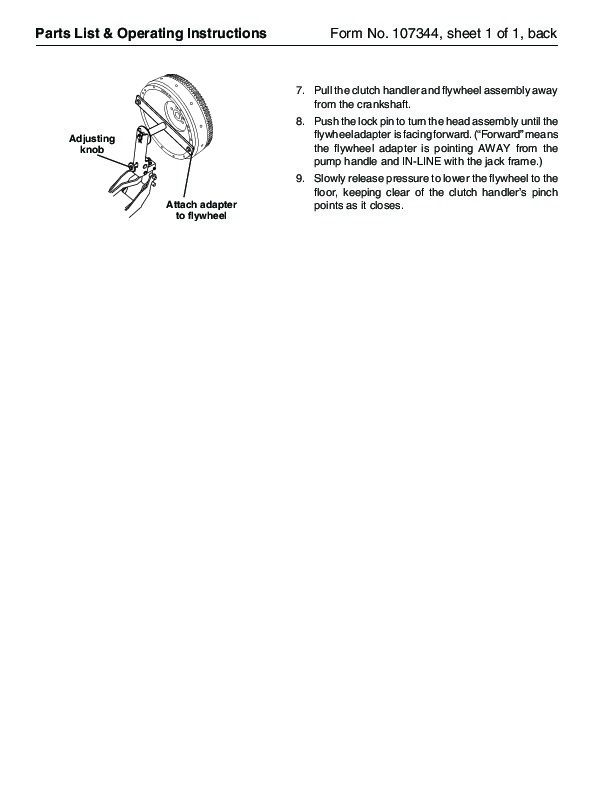 Safety Precautions WARNING: To prevent personal injury and damage to equipment, · Read, understand, and follow all instructions.